The long weekend is upon us, if you’re looking for some time out of the kitchen it’s time to treat yourself at Garfish! All three Garfish Restaurants have something special to offer. Kirribilli is bound to be popular as it’s close to all the action happening on Sydney Harbour this weekend (read our post about the International Fleet Review) but Crows Nest and Manly will also be popular. Each of our restaurants is serving the new spring 2013 menu but in addition to this there is the daily blackboard specials, read on for some of the highlights. 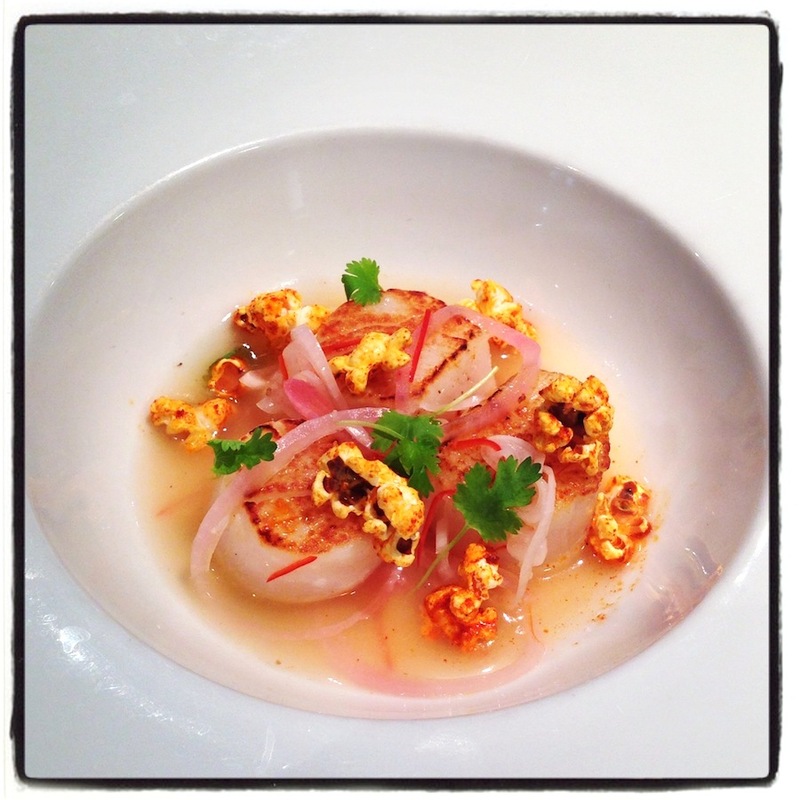 Head Chef Hamish has some great specials, pictured here is the grilled scallop civiche with lime, chilli, coriander & paprika popcorn. This dish is available all week and over the weekend at Crows Nest. 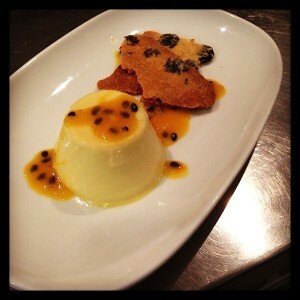 For something sweet over the weekend Hamish has a vanilla & passion fruit panna cotta – pictured below. Browse the full spring menu for Crows Nest here. John at Kirribilli has an entrée special: yellow fin tuna rice paper rolls with pineapple sambal and soy mirin dipping sauce that will be a popular special over the weekend, for dessert a dark chocolate and orange tart with chantilly cream. View the whole of the Kirribilli menu here. Michael and the team in Manly, fresh off their award this week (Garfish Manly picked up Best Informal Seafood Restaurant in the Savour Restaurant and Catering Awards for Excellence) also have some great specials available for the long weekend. For a main try the crisp fried soft shell crab with pork belly, green papaya salad and nam jim caramel and to keep the dessert theme going there’s a dark chocolate pecan pie with maple parfait. Check out the full spring menu for Manly here.